A La Mode is an authentic jazz band built upon Kansas City’s rich heritage of swing and blues. Though it’s been years since these giants ruled the scene (Charlie Parker, Count Basie and Coleman Hawkins). 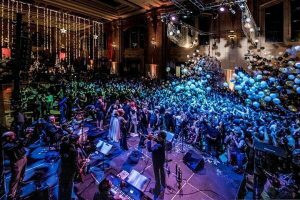 “Kansas City-based jazz and blues group A La Mode builds upon that heritage and adds their own playful spin that is classic-meets-contemporary.” –TheRecordKC.com. “Led by classically trained guitarist Clayton DeLong and enchanting songstress Jesica Poell. 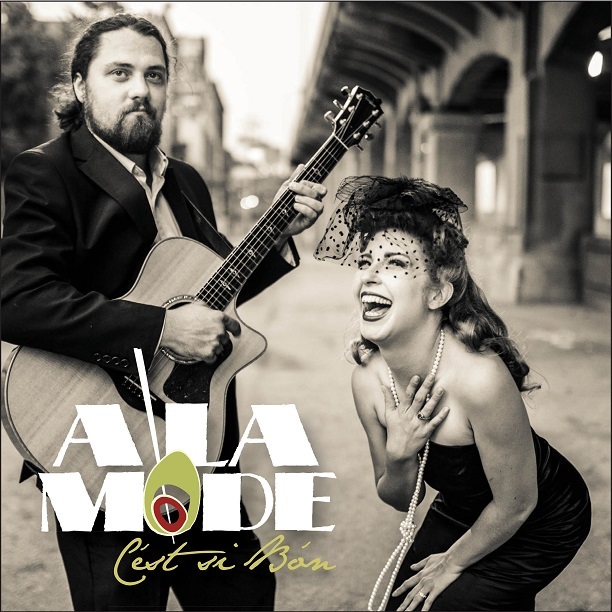 A La Mode takes the authentic smooth, bluesy and improvisational Kansas City jazz style and blends it with Latin-Brazilian, French and gypsy jazz. You’ll think you have been transported back in time”. – The Record KC Magazine. Marvin Gruenbaum of the Kansas City Symphony on jazz fiddle, and world renowned salsa band leader Miguel “Mambo” DeLeon on congas. They completes A La Mode sound pulling at your heart strings and leaving your skin tingling. A La Mode has also been known to feature guest artists such as Kansas City jazz legends Steve Rigazzi on upright bass. It also featured Rod Fleeman on guitar. A La Mode performs all of the old favorite jazz standards along side a few modern tunes with jazz flavor.